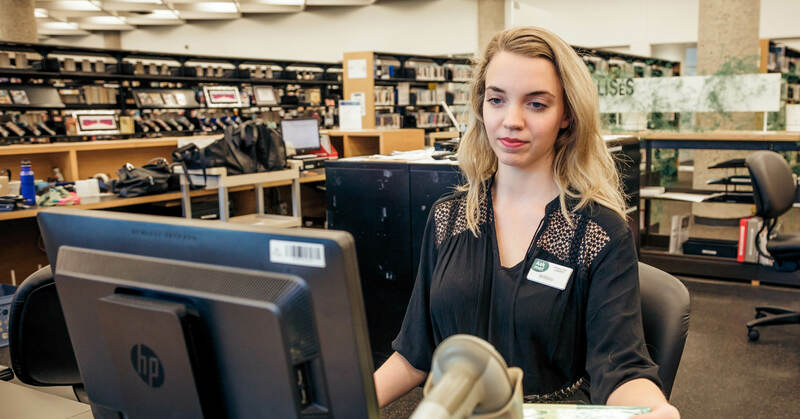 Precarious employment in the library sector is a major challenge for union bargaining teams, according to two new CUPE surveys of library workers across the country. Precarious work may be part-time, temporary, casual or contract work. It provides fewer full-time, permanent hours of work and fewer, if any, employment benefits like access to extended health insurance benefits or pension plans. Precarity is a challenge for union negotiators – and for social justice, because it adds to the growing divide between rich and poor and puts further stress on public services. CUPE’s 2014 national membership survey found that permanent, part-time employment is highest among public library workers. These results prompted delegates to CUPE’s 2015 National Convention to adopt a resolution which directed the union to conduct a multi-year, in-depth survey on precarious employment with CUPE library workers across the country. Phase 1 of the survey project consisted of a national random telephone survey of CUPE library workers who work in stand-alone public libraries (libraries that have their own CUPE local that is not part of another local, and that has its own collective agreement). CUPE represents 119 stand-alone public library bargaining units across Canada. Of that number, members of 71 bargaining units participated in the survey representing 60 per cent of all stand-alone bargaining units. A total of 805 CUPE public library workers participated. Phase 2 consisted of an online survey of library workers that work in municipal, university, and school board libraries. The same survey questions were posed in Phases 1 and 2. Coincidentally, 805 library workers responded to the online survey, the same number that responded to the telephone survey in Phase 1. Twenty per cent of these members work in university libraries, 29 per cent work in municipal libraries, 44 per cent work in school board libraries, and six per cent work for provincial library or regional library systems. The surveys found that levels of precarity are similar across the different kinds of libraries. Fifty-two per cent of stand-alone public library workers report they’re either precariously employed or at risk of falling into precarious employment. Fifty-four per cent of members responded similarly in municipal, university and school board libraries. Precariously employed library workers tend to work in municipal libraries and be in locals of 500 to 999 members. The survey findings also revealed that precarity is a human rights issue. Precariously employed library workers tend to be women; gay, lesbian, queer, or bisexual; have a disability; and be Indigenous or racialized. The findings also show that library workers who are precariously employed tend not to be active in their local unions. This highlights the need for more vigorous member engagement strategies, something that was identified in the findings of CUPE’s 2016 National Leadership Survey. The survey project also uncovers several more key findings that bargaining committees will want to consider. The results from both surveys reveal, not surprisingly, that most library workers are women: 79 per cent of library workers identified as women in Phase 1 compared to 85 per cent in Phase 2. Further, public stand-alone library workers work more permanent part-time hours and fewer permanent full-time hours compared to the entire CUPE membership. By contrast, the findings from Phase 2 show the opposite is true with municipal, university, and school board library workers who report more permanent full-time hours and fewer permanent part-time hours of work. Many part-time library workers are seeking full-time work, but the wait can be long. Forty-one per cent of part-time library workers who participated in Phase 2 are actively looking for full-time work compared to 31 per cent in Phase 1. Twice as many library workers in Phase 2 have been looking for full-time employment for 5+ years compared to Phase 1. Overall, the findings tell us that it can take several years to secure full-time library employment. In Phase 1, 63 per cent of public library workers waited up to 10 years to find full-time work; by comparison, the percentage in Phase 2 is 55 per cent. The surveys clearly demonstrate the challenges facing union negotiators in the library sector. Libraries are vital community hubs and places where all people can acquire knowledge and access information. This makes the fight against precarious work in the library sector a major priority for CUPE bargaining teams – and the union as a whole. Attachments Download the presentation on the survey results. Use it to generate a discussion about precarious work in your workplace.